Home » Retirement Planning » What Is The Gold-Silver Ratio? Gold and silver investments, including purchases as part of Precious Metals IRA holdings through self-directed IRAs, has never been more popular. With this surge in popularity comes the need for learning the details of this investment, much like new investors once had to learn about the ins and outs of the stock market to understand what they are buying and selling along with market conditions. 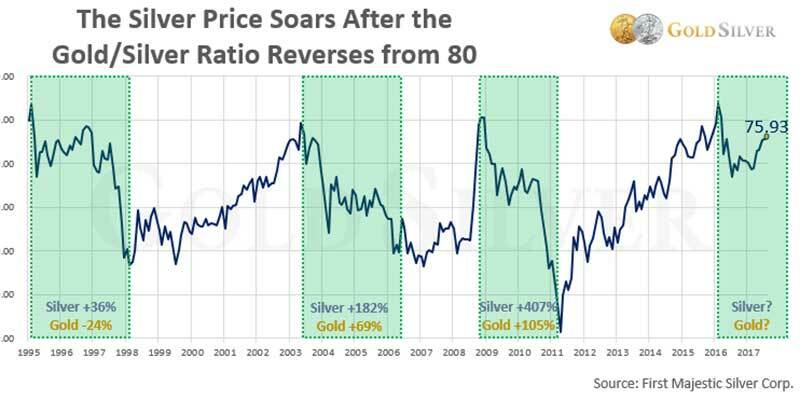 One important term in the precious metals market and investing world is the gold-silver ratio. Note that this should not be confused with the golden ratio or silver ratio you may have heard about in math class, which deals with shapes and proportions. 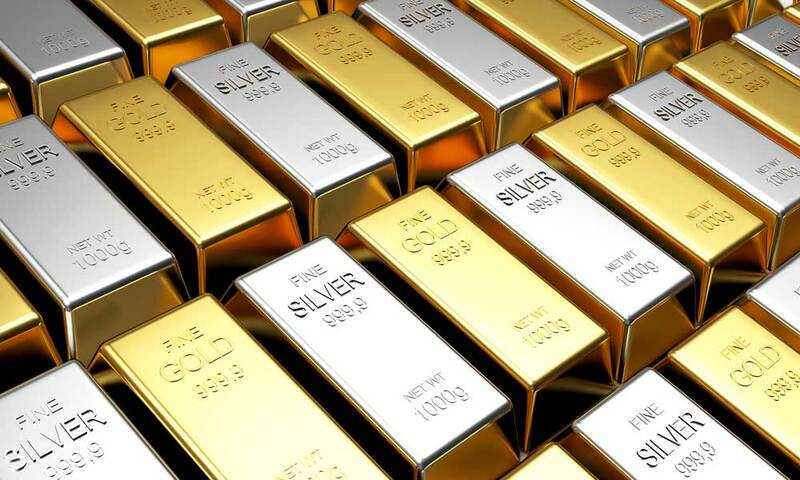 The gold-silver ratio is a method of expressing the difference in prices in gold and silver at any given time on the market and provides a method of easily tracking historical comparisons in price. The gold-silver ratio is the ratio that defines the amount of silver, in ounces, it would take to equal the cost of one ounce of gold. This amount varies over time as markets for both metals fluctuate. The ratio is expressed as two numbers, the amount of silver needed is first and the second number is always one, as in one ounce of gold. So a ratio of 15 to 1 means it would take 15 ounces of silver to equal the cost of one ounce of gold. In other words, gold is 15 times more expensive than silver in that gold-silver ratio expression. Gold is always valued higher than silver and always has been since the start of tracking precious metals. In the 1800s, the ratio was 15 to 1 on average. In modern times, gold is traded at values around 60 to 1 compared to silver, although it has gone as high as 80 to 1 a few years ago. The tracking of values all came about after the United States started working to set up its standards for coins with a series of coinage acts in the mid-1800s and early 1900s. These followed work from Alexander Hamilton in the late 1700s concerning the original gold-silver ratio and laying the groundwork for standards to be used in coins. This work was necessary for practical reasons at the time because silver values to weight meant that a dollar silver coin would have been huge compared with a gold dollar coin. This laid the groundwork that eventually led to silver no longer being a limited legal tender with limits on what it could pay for in the United States. What influences the gold-silver ratio? While the short answer to what influences the ratio is simply market forces, a big part of what affects the ratio is silver having many more industrial uses and thus higher demand than gold. This means that silver prices can edge up quickly when industrial conditions are favorable or new technology breaks into higher demand suddenly. As the silver prices rise, the gold ratio drops. However, industrial pressures can quickly drop the silver prices should demand suddenly go soft. This can be a concern in the United States market as well as have global market impacts, especially with silver. If demands change overseas, it hits home. Another issue is gold prices. While the increase in interest in precious metals investing and precious metals IRAs has driven up demand for collectible forms of gold, it also led to some speculation by the producers of such products and in 2015 that led to a glut of supply on the market, which pushed prices lower. Can the gold-silver ratio tell me when to buy? 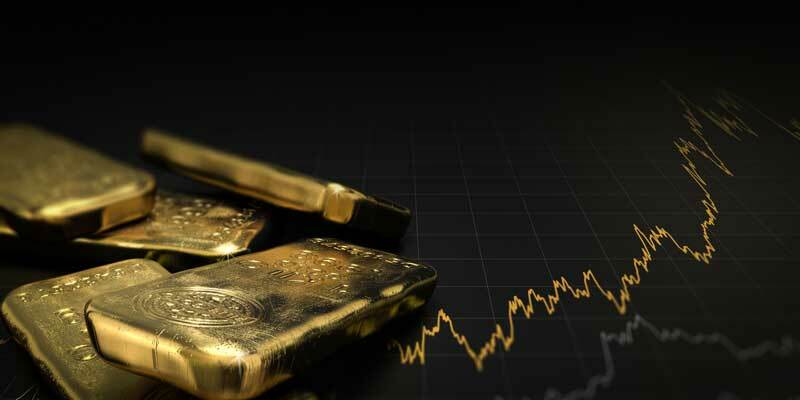 While some traders look to the gold-silver ratio averages, such as 47 to 1 in the 20th century, as indicators of looming price changes, there are no guarantees in the market. However, while it can’t tell you when to buy, the generally accepted notion is that gold is a better investment when the ratio is under 50 to 1 and silver is the better investment when the ratio is over 50 to 1. As with all things related to investing, investors should always meet with qualified financial advisors before making investment decisions as individual needs and goals may drastically change how these rules of thumb affect your decision making. When investing in physical gold and silver there is also storage to consider. Gold is heavier than silver so not only do you need more silver to equal gold in price, gold takes up less space than silver. When you multiply the size differences with cost differences, strong investors could see some differences in storage costs should they have larger silver holdings due to the difference in volume. For small investors, this would likely be negligible, but as holdings grow, it is a factor to consider. Chart showing silver price rising as gold price falls. Source: First Majestic Silver Corp.